BeEmunah, which develops properties for the religious Zionist public, gets final OK for project in Jonah's city. 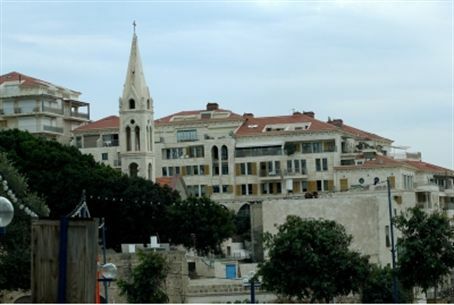 BeEmunah, a company that specializes in development and marketing of properties for the religious-Zionist public, received the final go-ahead Sunday for a 20-apartment housing project in Yafo (Jaffa), the port city from which the Jonah the Prophet embarked on his biblical journey. The High Court rejected a motion filed by a group of Arab residents of Yafo and three ultra-leftist organizations – the Association for Civil Rights in Israel, Bimkom and Rabbis for Human Rights – against the project. The petitioners claimed that BeEmunah was a discriminatory body because it only sells to the religious Jewish public. A High Court panel under Court President Dorit Beinisch did not reject this claim but said it could not intervene because the sale was already a done deal. According to an ACRI statement, the Israel Lands Authority had “rushed” to sign the deal with BeEmunah in the space of the few days that separated a District Court decision upholding the sale and the filing of their appeal. A lawyer for the petitioners called the decision “very disappointing” but noted with some satisfaction that the court decision meant that the BeEmunah enclave would be limited to 20 homes.